The official title for the NEA Big Read 2019: One Freeport! Thank you, Freeport, for all of your support!! I Am American presents multiple perspectives on immigration and ethnicity. 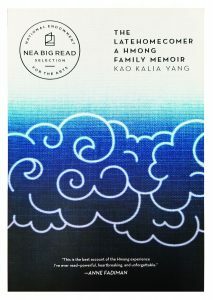 Using a variety of styles, each work provides a wide angle view into the bi-cultural experience. Participating artists are first, second, or third generation immigrants. Others can trace their heritage back to the Native American Indians. This exhibition about the American experience provides ample room for conversations and personal interpretation and explores what it truly means to be “American”. The Freeport Public Library conducts a “community read” program during the late winter/early spring of “odd” years. The mission of this program is to encourage a shared-reading experience, foster a sense of community, and promote literacy to people of all ethnic backgrounds, economic levels, and ages. Based on similar programs in communities across the country, One Book, One Freeport provides free copies of a selected book and coordinates educational programs and events to explore topics related to the book. 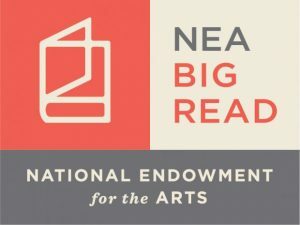 The 2019 NEA Big Read: One Freeport is generously supported by the Freeport Public Library Foundation and the Freeport chapter of Rotary International. The library partners with many other organizations in the community to make this a true community event. In the past this has included organizations such as the Freeport Art Museum, the Stephenson County Historical Society Museum, the Freeport School District, Aquin High School, Boys and Girls Club, Stephenson County Convention and Visitors Bureau, the Freeport Community Foundation, and the Freeport Public Library Foundation. Copies of the selected title are distributed to all interested people in the community. In the following weeks, programs relating to topics in the book are scheduled. Book discussion groups are offered at a variety of times and locations. The inaugural program ran in January and February of 2011, featuring the book Playing with the Enemy by Gary Moore. The Freeport community enthusiastically embraced the program. Participation was high and reviews were positive. The second program began January 5, 2013 and ran through April 7, 2013. It featured I Came A Stranger by Hilda Satt Polacheck. The displays were a great addition to the program. Copies of the book were given to other libraries and schools in Stephenson County, widening the audience. The third program ran from February to April 2015, and focused on the book Rocket Boys by Homer Hickam, Jr. Displays at the Freeport Art Museum and personal stories of growing up in a coal mining town helped bring the book to life. Readers enjoyed building and launching an actual rocket at the conclusion of the program. The 2017 One Book, One Freeport program was based on Gloryland by Shelton Johnson with events scheduled in January, February, March and April. There were great actor portrayals of Teddy Roosevelt and a buffalo soldier, lively book discussions, and a fascinating presentation by the author.